What is a Prison Planet? What are the factors that have contributed to the long term memory loss and identity wiping that the human race has suffered through repeated recycling on the Earth? When we awaken to the present moment and begin to remember what has happened to the human race in the past timelines, we know that the trauma of planetary invasion and the current transmissions of mind control are designed to keep us mentally looping in fear and avoidance programming. When we awaken to the truth, we begin to break the hypnotic spell of the mind control and the frequency fences. Know that we are eternal spiritual consciousness, and that we all can find our inner connection with our true spiritual being to safely guide us through the enslavement maze of greed and authoritarian control. I AM the Eternal God Being, I Know Who I AM. The Guardian Host has revealed the Alien Machinery and NETs that are used for Consciousness Wiping all planetary inhabitants, bringing attention to the false light used in the False Ascension Matrix, as well as the repeated recycling of Souls that are routed into Consciousness Traps that make the Earth a Prison Planet. During the Ascension Cycle, the Krystal Star Guardians are essentially on a rescue mission to help the planet ascend, and to liberate the Souls on the Earth from Mind Control and AI False Timeline Propagation enforced by the Negative Alien Agenda. The Negative Alien agenda NAA is to force the planet to serve another multiple species Controller agenda, through imposing false replicated time fields using bio-warfare technology such as Holographic Inserts, AI and Mind Control, namely created under genetic reptilian-insectoid Archon extraterrestrials, at the expense and life force of the human race and the kingdoms under the human domain. Much of the NAA is veiled behind the shadow levels of the ET and human military industrial complex collaboration, with the primary takeover accessing the U.S. naval forces and underground bases in the earth. It appears earth was invaded several times by hostile Negative Aliens with a major shift occurring 26,000 years ago during the Luciferian Rebellion, Atlantian Cataclysm and leading to the latest event with the Sumerian-Egypt Invasion. These agendas are still in effect today and impact all human and earthly life as a enforced enslavement on a Prison Planet being harvested for a variety of resources to send back to off planet Controllers, such as harvesting the energetic quanta of human life force and earthly minerals. Additional phantom area pockets or zones were created during the Atlantian Cataclysm through reversal electron or Light reversals made in sections of the earths field that were intended to inhabit by the NAA and intruding races to enslave the planet and humanity. This connects with the NETs that turned earth into a Prison Planet. The Alien Airl captured in 1947 by U.S. Military, describes a similar scenario of Prison Planet with her telepathic interpreter, Nurse Officer, Matilda O’Donnell MacElroy. Transcript of Airls’ Communication circa 1947: “Eventually The Domain discovered that a wide area of space is monitored by an “electronic force field” which controls all of the IS-BEs in this end of the galaxy, including Earth. The electronic force screen is designed to detect IS-BEs and prevent them from leaving the area. If any IS-BE attempts to penetrate the force screen, it “captures” them in a kind of “electronic net”. The result is that the captured IS-BE is subjected to a very severe brainwashing treatment which erases the memory of the IS-BE. This process uses a tremendous electrical shock, just like Earth psychiatrists use “electric shock therapy” to erase the memory and personality of a patient and to make them more cooperative. On Earth this “therapy” uses only a few hundred volts of electricity. However, the electrical voltage used by the “Old Empire” operation against IS-BEs is on the order of magnitude of billions of volts! This tremendous shock completely wipes out all the memory of the IS-BE. The memory erasure is not just for one life or one body. It wipes out the all of the accumulated experiences of a nearly infinite past, as well as the identity of the IS-BE! The shock is intended to make it impossible for the ISBE to remember who they are, where they came from, their knowledge or skills, their memory of the past, and ability to function as a spiritual entity. They are overwhelmed into becoming a mindless, robotic nonentity. After the shock a series of post hypnotic suggestions are used to install false memories, and a false time orientation in each IS-BE. This includes the command to return to the base after the body dies, so that the same kind of shock and hypnosis can be done again, and again, again — forever. The hypnotic command also tells the patient to forget to remember. What The Domain learned from the experience of this officer is that the Old Empire has been using Earth as a Prison Planet for a very long time — exactly how long is unknown — perhaps millions of years. So, when the body of the IS-BE dies they depart from the body. 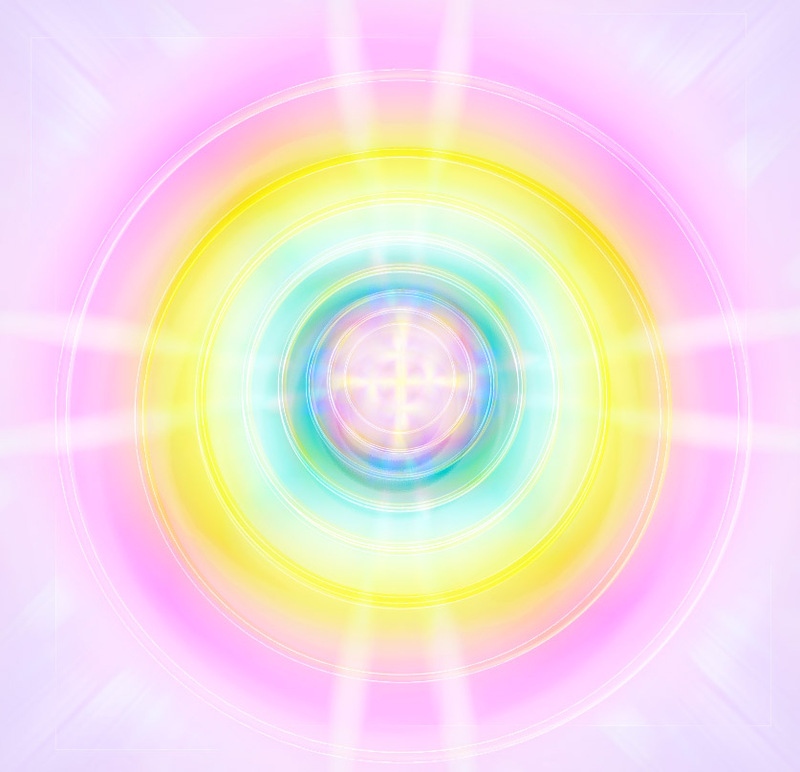 They are detected by the “force screen”, they are captured and ordered by hypnotic command to “return to the light”. The idea of heaven and the afterlife are part of the hypnotic suggestion — a part of the treachery that makes the whole mechanism work. After the IS-BE has been shocked and hypnotized to erase the memory of the life just lived, the IS-BE is immediately commanded, hypnotically, to report back to Earth, as though they were on a secret mission, to inhabit a new body. Each IS-BE is told that they have a special purpose for being on Earth. But, of course there is no purpose for being in a prison — at least not for the prisoner. Any undesirable IS-BEs who are sentenced to Earth were classified as “untouchable” by the Old Empire. This included anyone that the Old Empire judged to be criminals who are too vicious to be reformed or subdued, as well as other criminals such as sexual perverts, or beings unwilling to do any productive work. An untouchable classification of IS-BEs also includes a wide variety of political prisoners. This includes IS-BEs who are considered to be noncompliant free thinkers or revolutionaries who make trouble for the governments of the various planets of the Old Empire. Of course, anyone with a previous military record against the Old Empire is also shipped off to Earth. A list of untouchables include artists, painters, singers, musicians, writers, actors, and performers of every kind. For this reason Earth has more artists per capita than any other planet in the Old Empire. Untouchables also include intellectuals, inventors and geniuses in almost every field. Since everything the Old Empire considers valuable has long since been invented or created over the last few trillion years, they have no further use for such beings. This includes skilled managers also, which are not needed in a society of obedient, robotic citizens. Anyone who is not willing or able to submit to mindless economic, political and religious servitude as a taxpaying worker in the class system of the Old Empire are untouchable and sentenced to receive memory wipeout and permanent imprisonment on Earth. The net result is that an IS-BE is unable to escape because they can’t remember who they are, where they came from, where they are. They have been hypnotized to think they are someone, something, sometime, and somewhere other than were they really are. Although the military base of the Old Empire was destroyed, unfortunately, much of the vast machinery of the IS-BE force screens, the electroshock / amnesia / hypnosis machinery continues to function in other undiscovered locations right up to the present moment. The main base or control center for this “mind control prison” operation has never been found. So, the influences of this base, or bases, are still in effect. The Domain has observed that since the Old Empire space forces were destroyed there is no one left to actively prevent other planetary systems from bringing their own untouchable IS-BEs to Earth from all over this galaxy, and from other galaxies nearby. Therefore, Earth has become a universal dumping ground for this entire region of space. This, in part, explains the very unusual mix of races, cultures, languages, moral codes, religious and political influences among the IS-BE population on Earth. The number and variety of heterogeneous societies on Earth are extremely unusual on a normal planet. Most “Sun Type 12, Class 7” planets are inhabited by only one humanoid body type or race, if any. In addition, most of the ancient civilizations of Earth, and many of the events of Earth have been heavily influenced by the hidden, hypnotic operation of the Old Empire base. So far, no one has figured out exactly where and how this operation is run, or by whom because it is so heavily protected by screens and traps. Furthermore, there has been no operation undertaken to seek out, discover and destroy the vast and ancient network of electronics machinery that create the IS-BE force screens at this end of the galaxy. Until this has been done, we are not able to prevent or interrupt the electric shock operation, hypnosis and remote thought control of the Old Empire prison planet. Of course all of the crew members of The Domain Expeditionary Force now remain aware of this phenomena at all times while operating in this solar system space so as to prevent detection and the capture by Old Empire traps.